We have been proud parents at Saint John School for eight years and have three kids enrolled. We originally became aware of the school before our children were born. Our cousins attended Saint John and offered glowing reviews of the faith-based school and community. 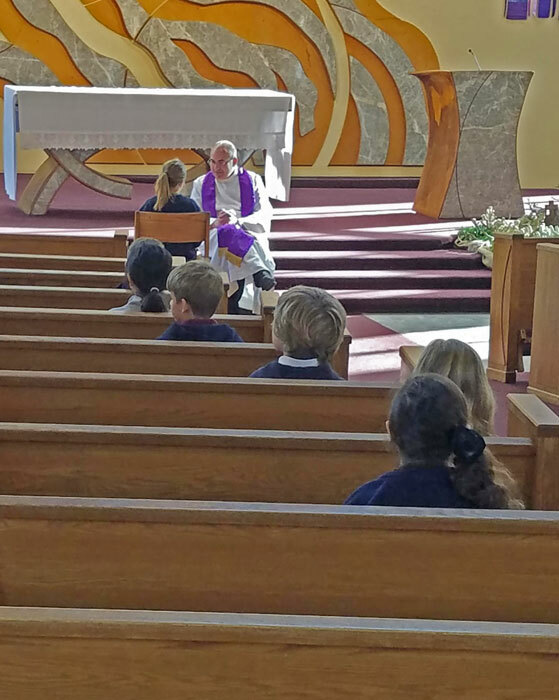 What continues to impress us is the thoughtful approach that goes into the religious education as well as the dedicated administration and faculty. The teachers and staff genuinely care about growing our children. We know, without a doubt, they will be more than prepared for their high school experiences. We have found common ground with the other families at Saint John and have formed life-long friendships for our children and ourselves. We are proud that all three of our children have engaged in the extracurricular offerings at Saint John School like: their sports teams, Rock Band, Girl Scouts, science and math clubs, and many more. We are proud to say that our family is part of the Eagle community and look forward to what is to come for our children at this school.